More fairy tale fun: great if you love Goddess Girls or E.D. Baker. Just watch out for wolves! In faraway Grimmlandia stands a very special school called Grimm Academy. It’s the place where fairy tale characters are trained up for their stories. And now Red Riding Hood is trying out for the school play. Acting is her dream, and she’s great at it. It’s just too bad she’s really busy saving the school from the super-bad EVIL Society. 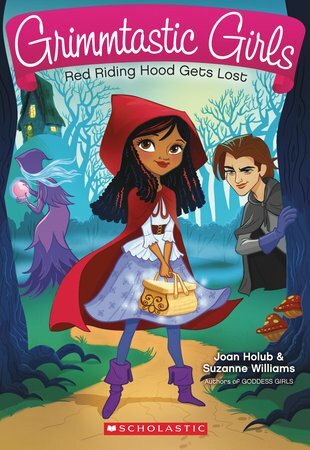 But then Red gets lost in Neverwood Forest and runs into sinister Wolfgang, a suspected EVIL member. Can her magic basket and acting talent protect her? A Grimm fairy tale made over by the Goddess Girls author. We’re already sold on this idea.